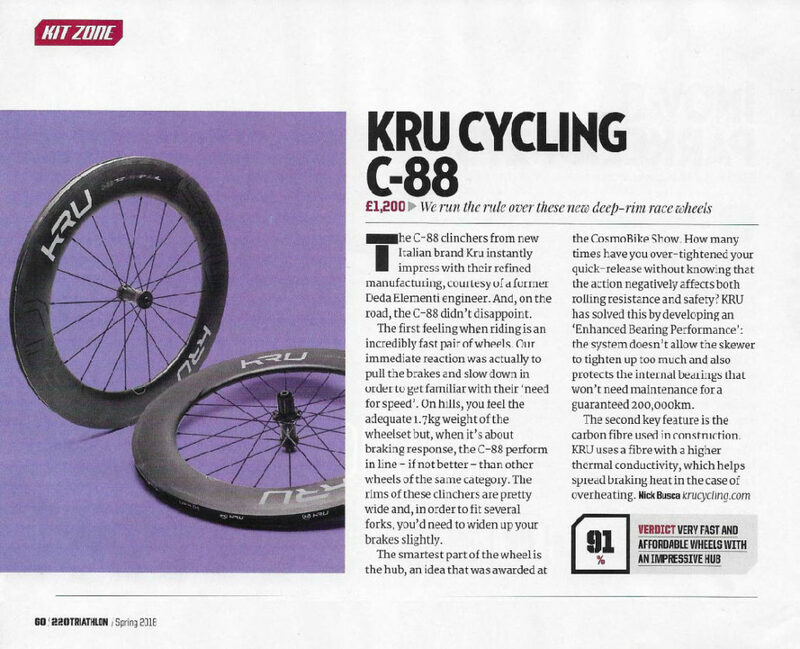 UK’s largest selling Triathlon Magazine 220 Triathlon has recently reviewed KRU Carbon Clincher C-88 wheels in their recent Spring issue. 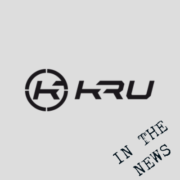 The Magazine assigned KRU wheels a rating of 91%, which refers to their highest category for products they recommend to “buy now – a genuine class leader“. 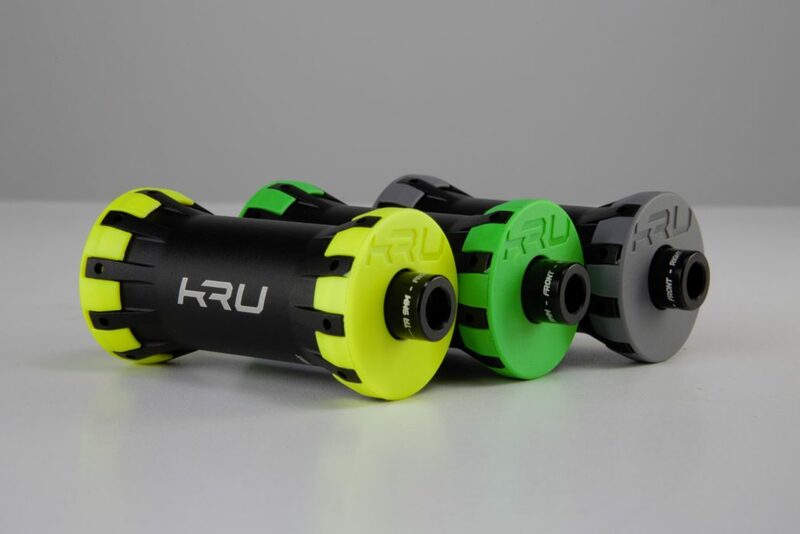 In the words of the 220 Triathlon journalist, KRU are “very fast and affordable wheels with an impressive hub”. “The first feeling when riding is an incredibly fast pair of wheels” and “when it’s about braking response, the C-88 perform in line – if not better – than other wheels of the same category”. The second key feature is the carbon fibre used in construction. KRU uses a fibre with a higher thermal conductivity, which helps spread braking heat in the case of overheating. http://krucycling.com/wp-content/uploads/2016/11/kruinthenews2.png 400 400 KRU http://krucycling.com/wp-content/uploads/2016/03/kru-cycling-logo-300x99.png KRU2018-03-25 17:42:292018-03-28 14:32:28220Triathlon: KRU Wheels are "very fast and affordable wheels with an impressive hub"
KRU Cycling has received an honorable mention for the Cosmo Bike Tech Award. 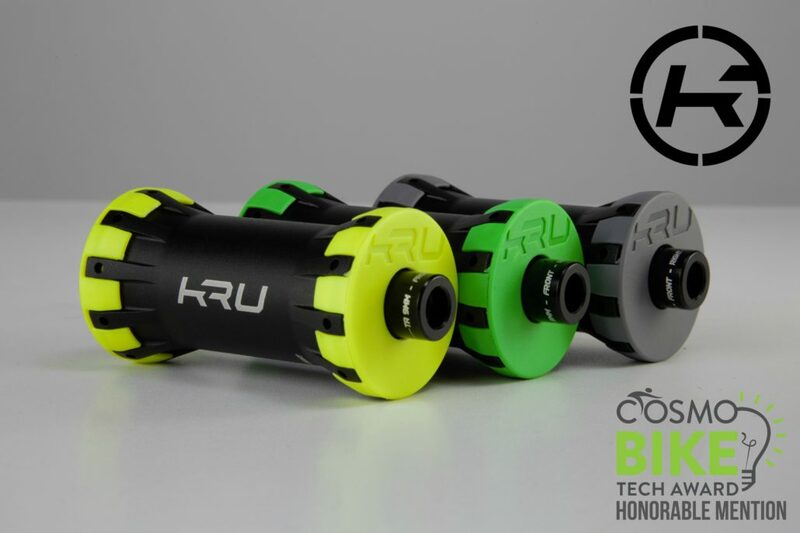 “An honourable mention for the Technical Quality of KRU Cycling’s high rolling performance hubs”. Read more on the official press release from the Cosmo Bike Show (Download here – in Italian). 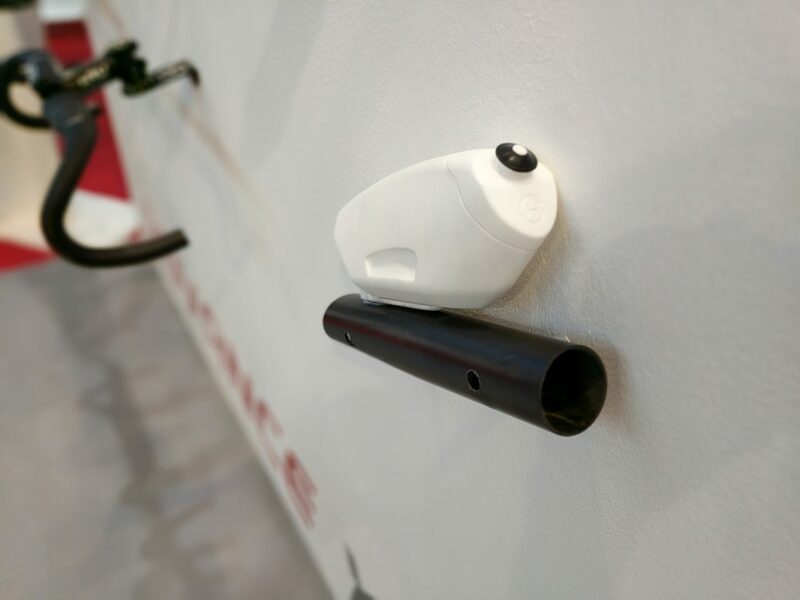 At Eurobike 2017 we have shown a preview of some of the newest products we’ve been working on. These are prototypes that we plan to produce in the near future so keep in mind that they might change and that they will eventually look more polished. 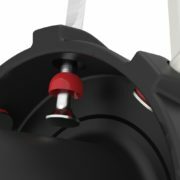 This is going to be a variation of the KRU K-Class Cockpit which will allow to add or remove Aerobar extensions. 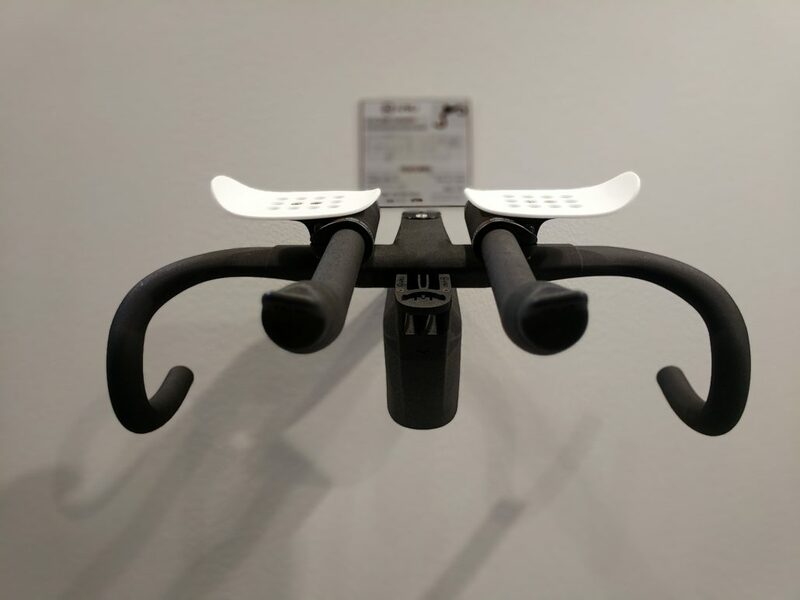 This is a product designed for triathlon, in particular for those who would like to use a full aero road bike with a true triathlon set-up instead of a triathlon bike. These are cyclists who only want to keep a single multi purpose bike, that mostly do draft legal racing and occasionally do non-draft races, or triathletes competing on challenging or extreme courses with big elevation gains and steep climbs. 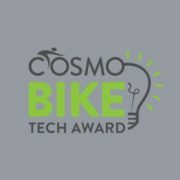 This prototype is an aerodynamic drink bottle and cage system that leaves a very minimal footprint on the bicycle. Let us know what you think of these products! 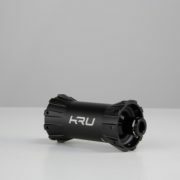 You can contact us by email krucycling.com/contacts/ or at facebook.com/krucycling. In making the KRU K-Class Super Compact Cockpit we’ve focused on creating a stiff but also light product. So the big question is: how light? 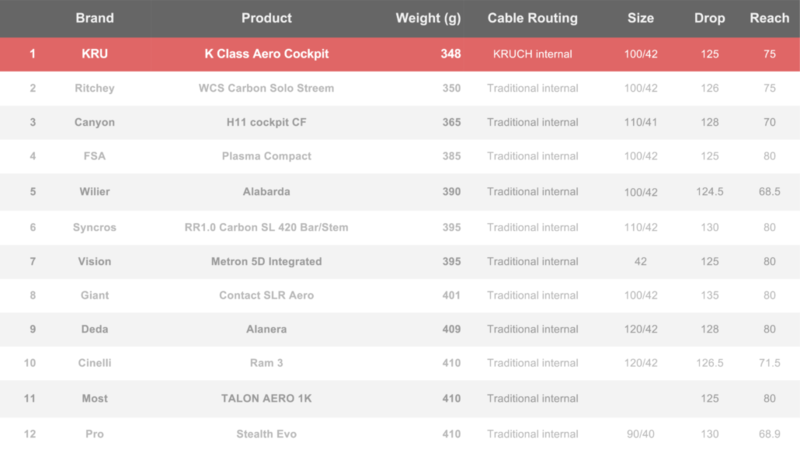 During our research and development, we have collected a lot of information and compared the KRU K-Class Cockpit against available market offerings, including 10 of the most famous brands. We are happy to say that the KRU K-Class Cockpit is by far the lightest integrated aero cockpit on the market. With only 348 grams at size 42cm/100mm, the KRU K-Class Cockpit is about 50 grams and 13% lighter than the average. The next question is typically one around stiffness. Unfortunately, comparable stiffness to weight ratio data isn’t widely available. In this case we can focus on what makes the K-Class Cockpit different. We made a light product without making any compromise in terms of stiffness. 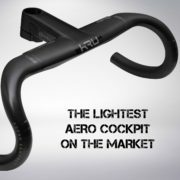 In fact, we are confident the KRU Cockpit offers the best stiffness-to-weight ratio on the market. The reason for this is the KRUCH patented technology. This is important because the traditional way of doing internal cable housing requires patching pieces of carbon together or drilling holes. As you can imagine, the traditional way doesn’t produce a very stiff structure but one with a lot of risk for failure. 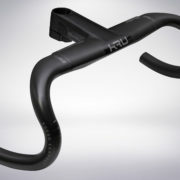 Instead, KRUCH (KRU Cable Housing) is made of an internal groove with rubber covers. This makes a very solid structure (the cockpit is a true single piece monocoque) and light (we actually need to use less material). We are all for transparency so we’d like to spend some time to talk about methodology. We have used manufacturer’s-provided weight information from their official websites. We have also indicated the size of that weight whenever the manufacturer provided it. The most common size used has been the 42cm width (center-to-center) and 100mm stem length so that’s the one we are indicating for our product. 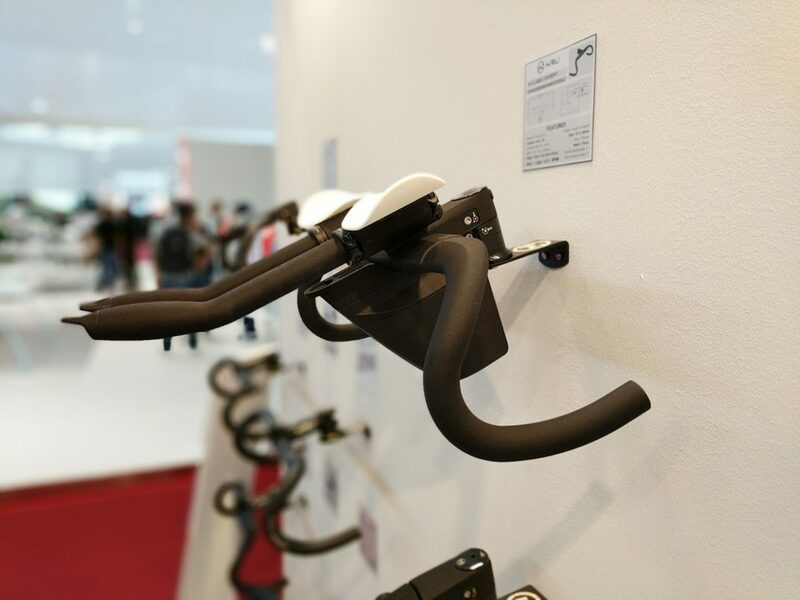 In terms of product selection, we have included only comparable products: aero cockpits (stem and handlebar in a single piece) with internal cable routing. We have also focused on cockpits that can be currently purchased on the aftermarket. For this reason we have excluded products that have been announced but aren’t actually available, that have been on the market but have been withdrawn, and products that can only be purchased as part of a bicycle – because there isn’t enough public information available on them. At Eurobike Show 2017 KRU is announcing the K-Class Super Compact Cockpit, the most advanced integrated cockpit on the market. 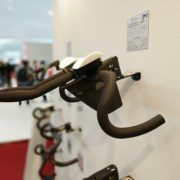 It’s composed of an integrated system of handlebar and stem in a single piece. Its clever technology and design features make it the most lightweight integrated cockpit on the market. It’s made for racing and it will improve your cycling experience to the highest level. The K-Class Super Compact Cockpit isn’t just light. In fact, it offers an exceptional stiffness-to-weight ratio thanks to advanced engineering and the KRUCH technology. The aerodynamic shape brings drag to a minimum to help you go faster. 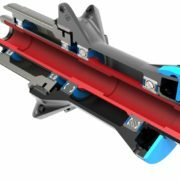 The clamping system fits perfectly within the aerodynamic profile and thanks the Enhanced Clamp System it is optimally secured to the steerer tube for maximum safety and comfort. 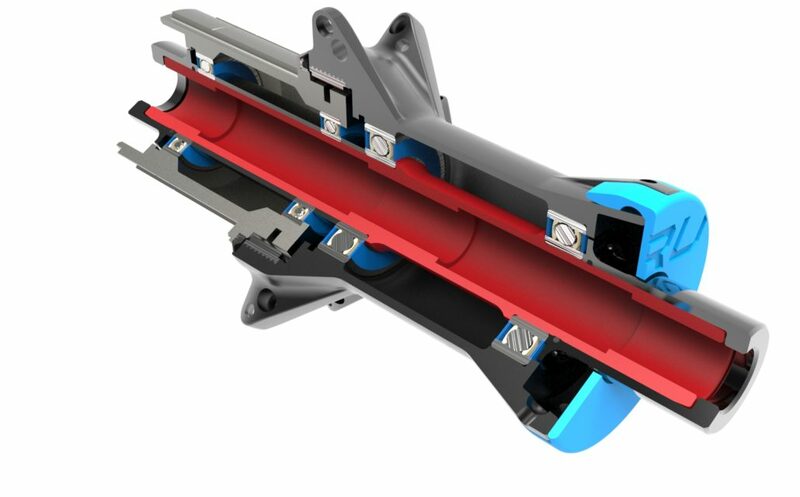 We designed the bar section without any sharp edges to offer comfortable handling and grip which is often absent on aerodynamic products in the industry. The Cockpit is available in the span measures of 20 and 40 mm. The span is the width difference between the drops and the top of the handlebar. These sizes offer the best handling position and improve comfort for out of saddle efforts when “on the drops”. 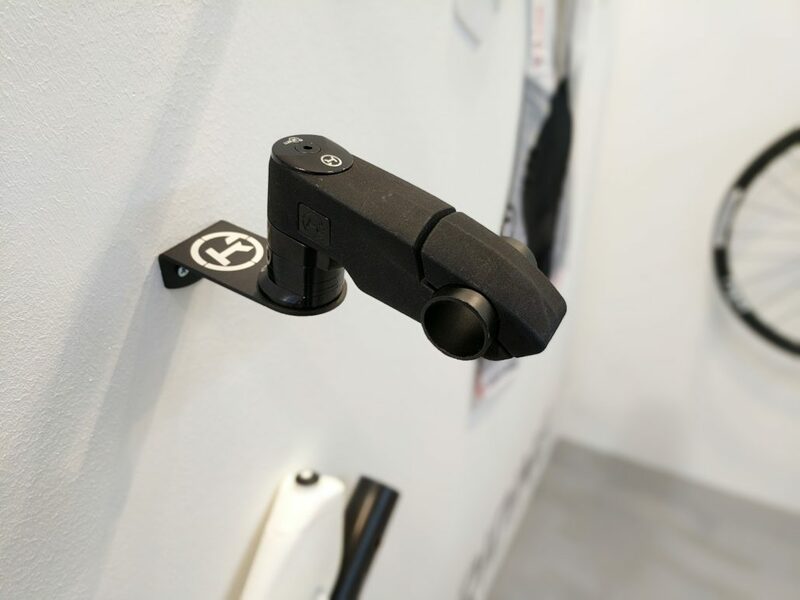 The Super Compact has a 125mm drop which enables a very quick movement of the hands from the “drops” racing position to the “hoods” and vice versa. 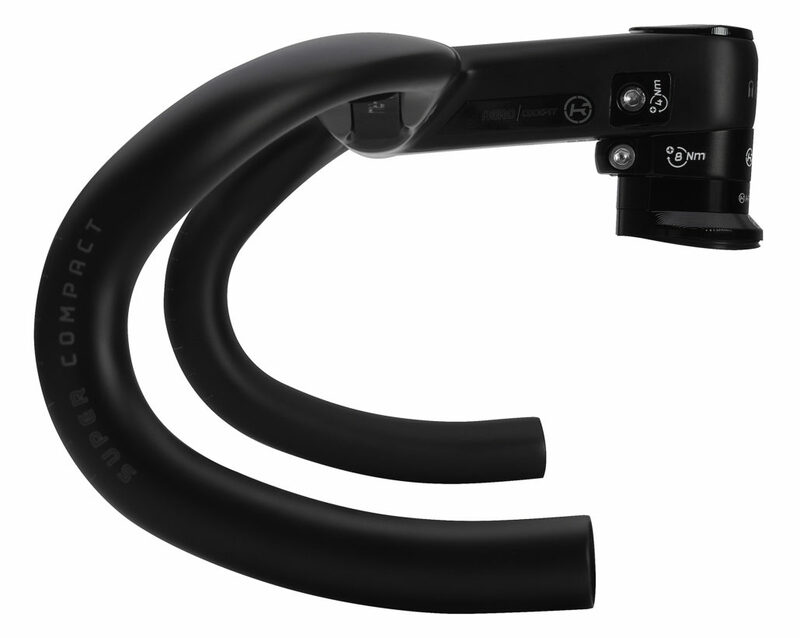 The bend shape of the Aero Handlebar has a 4° backsweep in the front part of the handlebar. 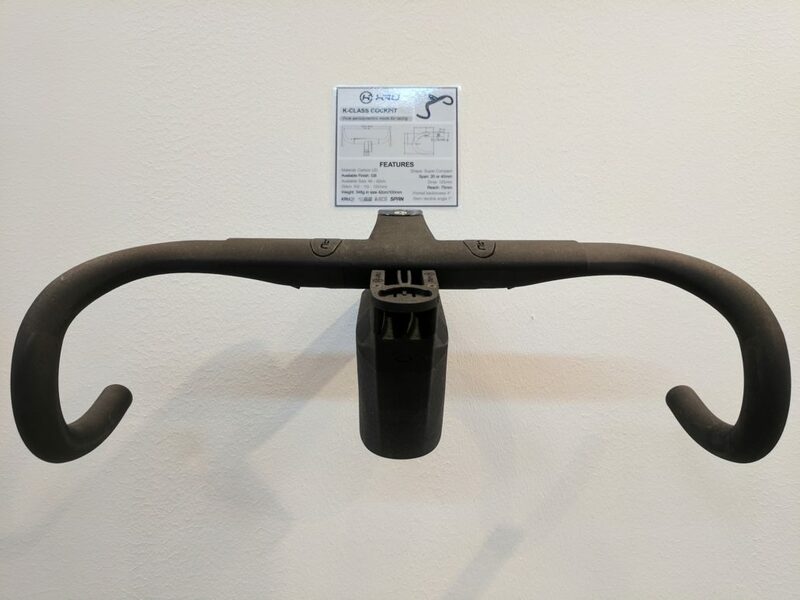 This feature increases fingers grip comfort for racing cyclists as it takes into account the way the handlebars are held during intense race efforts. What’s special about KRU Hubs? 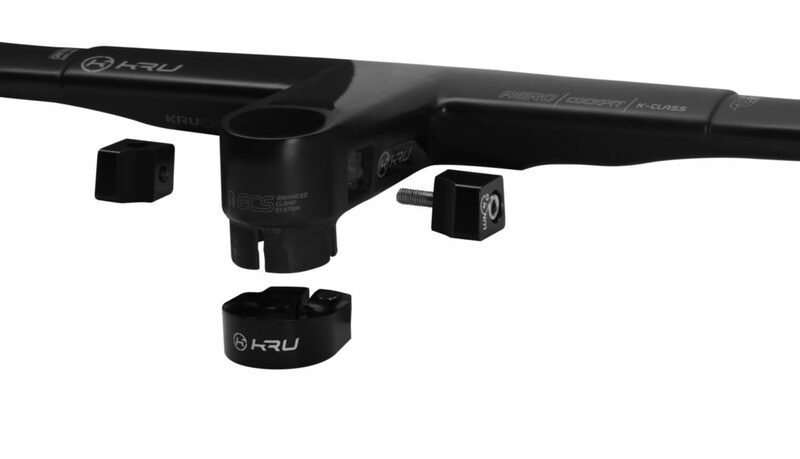 One of the key technological advancements we have introduced is the KRU wheel hub. In fact, there aren’t many companies nowadays doing innovation on the hubs. In practice, many wheels on the market today are little more than a selection of existing products put together and a sticker applied. Our approach for making high quality carbon wheels has been radically different. 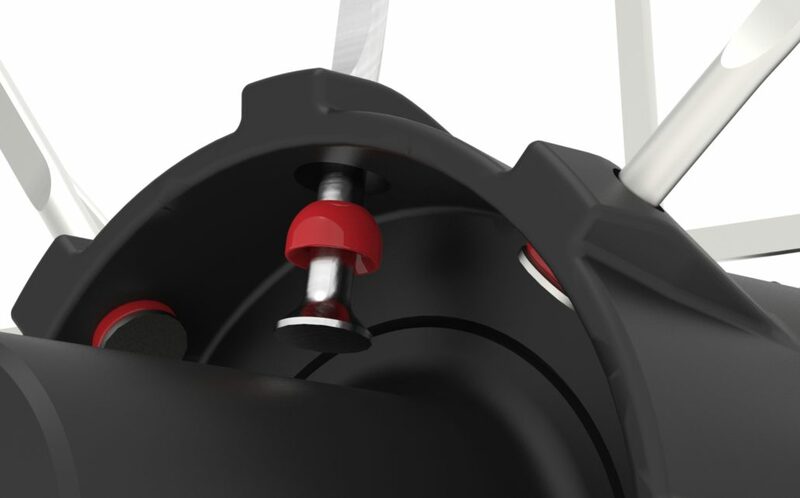 We’ve literally designed our products from the ground up, including the hubs. 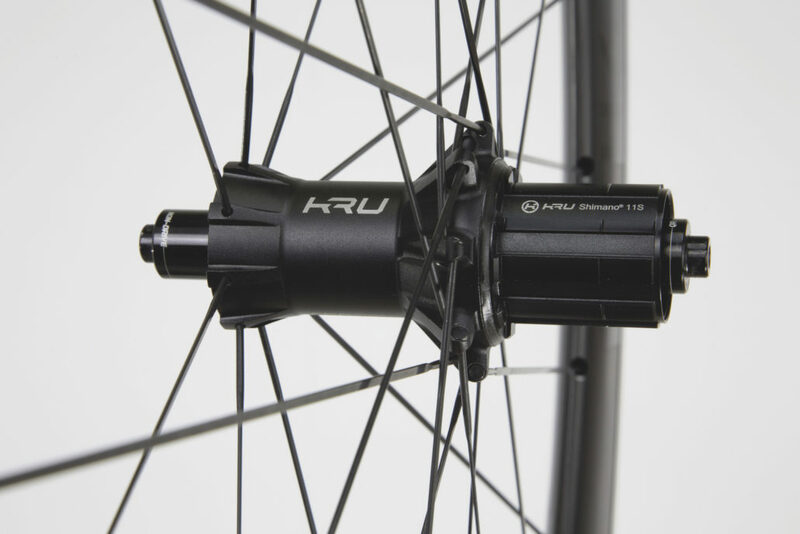 KRU hubs, entirely engineered by KRU, offer performance comparable to hubs with ceramic bearings while on the other hand maintaining exceptional durability at an affordable price point. The technology is supported by Enhanced Bearings Performance, a patented revolutionary hub design & assembly, and Self Adjusting Spokes, a clever design which allows spokes to perfectly align from the hub flange to the rim. http://krucycling.com/wp-content/uploads/2017/08/KRU_Hub_Mozzo.jpg 2688 4032 KRU http://krucycling.com/wp-content/uploads/2016/03/kru-cycling-logo-300x99.png KRU2017-07-14 11:27:152017-08-31 23:27:01What's special about KRU Hubs? Spokes failure is the most common maintenance issues affecting road cycling wheels for many cyclists. Tackling this problem quickly become a priority in our effort of completely redesigning wheels. Spokes are central in making sure that the structure of a wheel maintains its rigidity. Causes of their failures include imperfect alignment, an incorrect amount of tension because of improper setup or loss during normal use. To create the SAS technology we have drilled an hemispherical groove in the hub flange and added a ball shaped washer placed underneath the spoke head. This design allows spokes to perfectly align from the hub flange to the rim increasing their ability to withstand tension loads, maintaining the shape of the wheel at lower tension and decreasing the risk of wheel failure. In recent years the development of cycling wheels has been predominantly focused on assembling together parts from different manufacturers or at most applying minor modifications to the shape of the rim. The industry appears to have failed to introduce meaningful technology advancements and to have completely forgotten the central component of a wheel’s structure: the hub. Our approach has been diametrically opposite, the hub is where we’ve started the development. During our research we noticed two big areas for improvement over existing products on the market. One is an imperfect alignment of the bearings which often causes durability issues, especially when the quick release skewer is tightened excessively. The other, is that the vast majority of cyclists never apply any maintenance to the wheel, even less to the hub. This means that there is a substantial amount of cyclists whose wheels and hubs are literally slowing them down. To address these issues we have completely redesigned the structure of a wheel hub and patented it under the name of Enhanced Bearings Performance (EBP). The KRU hub assembly process is also unique in the industry. We use a full 5 axis CNC machined production process in a single manufacturing station while bearings are all inserted at once with optimal alignment and controlled preload. EBP brings numerous benefits. Firstly, our hubs provide minimum friction and rolling resistance. The performance is comparable to those with ceramic bearings with the distinctive difference that we are able to guarantee exceptional durability and much better value at a lower price point. In fact, KRU hubs are guaranteed to require no maintenance for 200.000 km. An additional benefit is that our product is unaffected by over-tightening of the quick release skewer. Effectively, KRU hubs make you go faster and maintain their performance for much longer than any other product on the market. March will be a busy and exciting month! 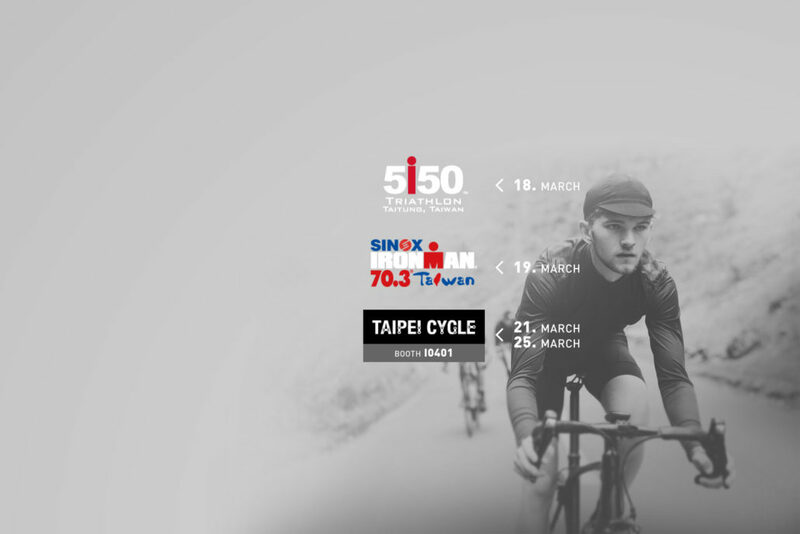 KRU will be touring the island of Taiwan to showcase KRU’s advanced cycling technologies. Here is a recap of all the events where you’ll find KRU over the month of March. We have an exciting month ahead!